The sparkle and joy of the holiday season can only be outdone with diamonds. It’s the most wonderful time of the year to surprise the woman you love with the perfect gift of diamonds. The most warm and wonderful place to shop for diamonds in New Jersey is Braunschweiger Jewelers. Whether her style is classic or she’s a trendsetter, for over 80 years Braunschweiger Jewelers has been serving New Jersey with an ever-changing selection of diamonds for you to choose from. Braunschweiger’s extended holiday hours gives you plenty of time to find the perfect gift of diamonds from Coast in an engagement ring or diamond band. 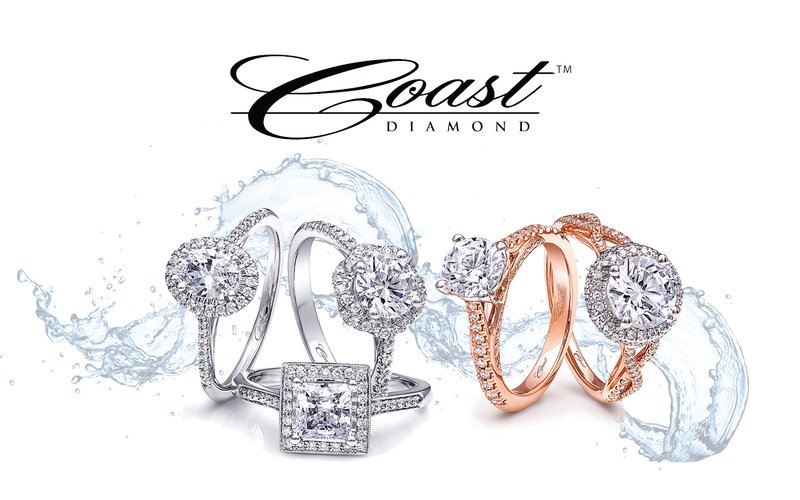 For their longstanding passion for diamonds, we are thrilled to honor Braunschweiger Jewelers of New Providence and Morristown, New Jersey as our Coast Diamond Retailer of the Week. Braunschweiger Jewelers leads the way with jewelry trends in New Jersey. Jersey brides are choosing standout center stone shapes like these from Coast Diamond. The pear-shaped diamond is for the sophisticated Jersey bride. Our Coast Diamond pear shaped halo engagement ring (LC5410-PRS) is our most popular halo design with the sophistication of a pear-shaped diamond center stone. The princess cut diamond is for the glamorous Jersey bride. This Coast Diamond princess cut engagement ring (LC10203) has all the classic elements with pavé diamonds on the band and milgrain edging. The princess cut diamond center stone is a classic choice with a modern edge and lots of sparkle. The matching wedding band (WC10203) creates the perfect wedding set for your bride. What New Jersey girl ever has enough sparkle? The more the merrier! This gorgeous Coast Diamond band of round brilliant diamonds (WC5180H) can be worn alone or stacked with other bands. A diamond band for stacking is the perfect gift this holiday season.